Ongoing pool maintenance is one of the most important parts of being a pool owner – it ensures the water stays crystal clear and safe to use at all times. However, we’re aware that not everyone has the time or the motivation for the weekly cleaning and chemical balancing needed to keep their pools clean and healthy. That’s why Coral Pools is happy to offer a full pool cleaning and maintenance service to keep your pool looking as beautiful as it did the first time you dove in. Whether you’re looking for weekly cleaning or beginning and end of season servicing, our expert specialists should be your first point of call. Why is ongoing maintenance important? If you have an outdoor pool, then that body of water will constantly be exposed to the elements,which can lead to dirty water that isn’t safe to swim in. Whether it’s leaves and debris blown in by the wind, dirt and animal droppings from passing birds, or even harmful bacteria bought in by the chemicals on our bodies and feet, swimming in unclean water can not only be off-putting, it can be incredibly dangerous. Invest in pool covers, a proper maintenance schedule and correctly balanced pool chemicals, and you can reduce and eliminate the hazards that come with pool ownership. To ensure your pool stays clean and sparkling all year long, we offer a range of services tailored to your needs. Whether you need the water balanced on a regular basis or you want to shock the system at the beginning of the season, we’re your one stop shop. We offer regular cleaning and servicing on a weekly, fortnightly or monthly schedule to keep your pool in tip top shape at all times; or take advantage of a one-off service while you’re on holidays. Whatever you need, Coral Pools has the service to match. A clean pool is about more than just balancing the water. Whether you need your cleaning equipment serviced – including skimmers, vacuums, filters etc. – or you’ve discovered a fault and you’re unsure how to proceed, our pool cleaners can help! How can I keep my pool clean? Apart from regular cleaning and maintenance, your pool will stay healthier for longer with the use of a pool cover or automatic vacuum. 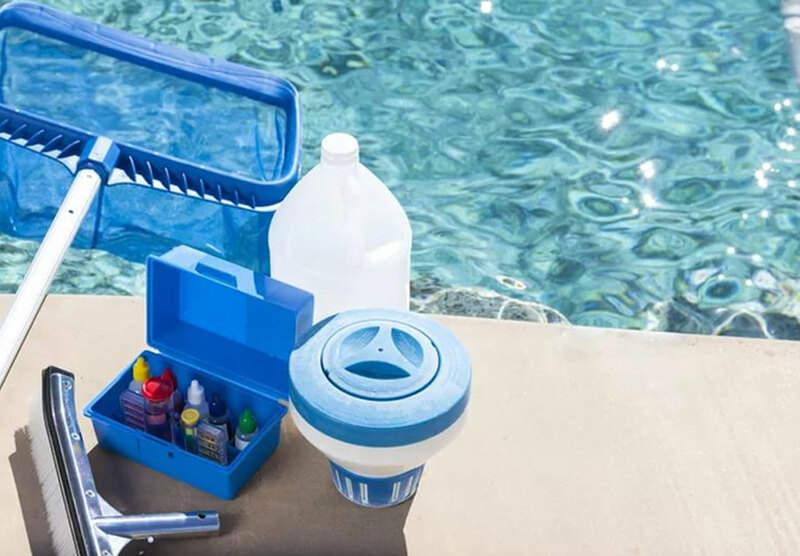 With tools like these, you can prevent leaves and dirt from entering your pool, and quickly remove them if they do – without lifting a finger. Based in Ravenhall, Coral Pools is proud to offer its professional pool building services to the western Melbourne region, including Deer Park, Derrimut, Laverton, Sunshine, Caroline Springs, Altona, Rockbank, Tarneit, Hoppers Crossing, Williamstown, Werribee, Point Cook and many more. Please contact us to see if we can offer pool maintenance in your area.